You Never Know! settled the score once and for all at the 2016 Blue Marlin Grand Championship by grabbing the lion’s share of the $1,463,250 purse. 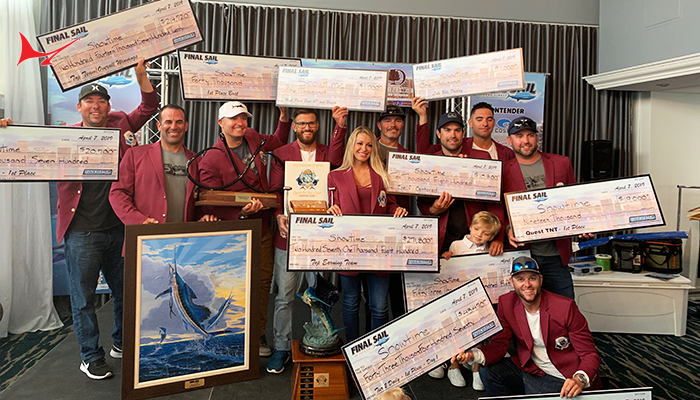 After bringing in an 806.8-pound blue marlin to The Wharf Marina and Entertainment Complex early Satur-day evening, the team earned the Grand Champion title and a check for $365,175. 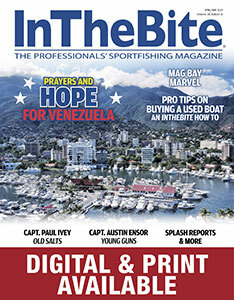 Josh Goodson was the angler who outlasted the winning fish, with Capt. Joey Birbeck man-ning the helm. Thomas Turner of Baton Rouge, Louisiana, owns the 72 F&S, based in Miramar, Florida. Pour Intentions, 56 Viking based in Destin, Florida, was named the second-place Tour-nament Champion. Angler Andrew Smoker boated a blue marlin weighing 455.6 pounds and the boat also released two blues to earn 810 points and third place in the release division. 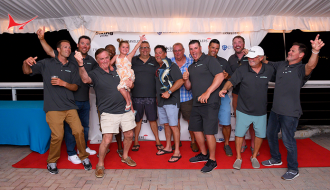 Owner Sean Ely and his team took home $191,190 in tournament and optional entry prize money. Sherry Polk, guided by Capt. Mike Roberto on the new 72 Viking Share-E, earned a $91,110 payout by capturing a 652.8-pound blue. That fish was good for third place and the Top Lady Angler title for Polk, who was cheered on by her husband Buell and a large contingent of fans welcoming her back. Capt. Jeff Shoultz and the Mollie team took the fourth and final spot on the 2016 leader-board. 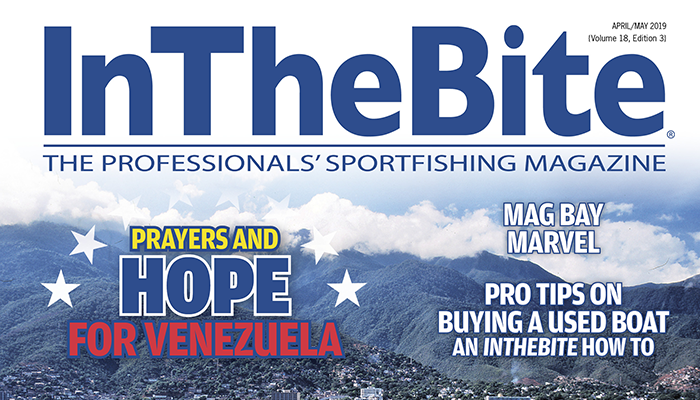 Angler Ryan Long whipped a 666.4-pound blue after an 8-hour battle through a lightning storm. The 66 G&S is going home to Destin with $145,725 in tournament and optional cash. 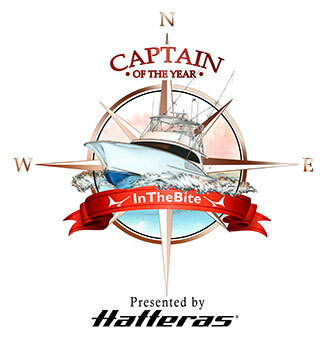 JP Arceneaux, competing aboard Hatterascal, a 70 Hatteras run by Capt. 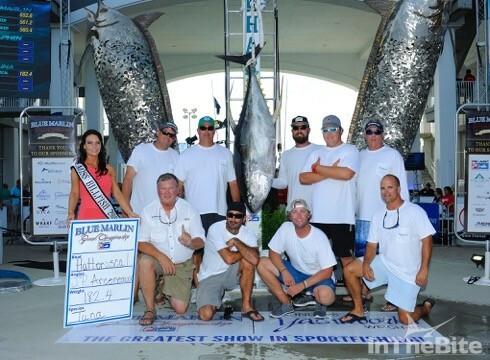 Jeff Donahue, set a new tournament record after besting a 182.4-pound yellowfin. That fish was worth $53,550. 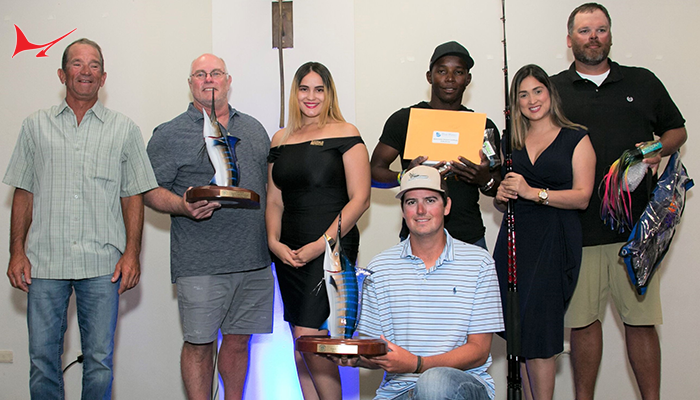 Laurie Jones (Reel Addiction), Jane Solomon (One More), Jason Forrester (Conundrum), Billy Vanderhorn (Sweet Beaver) and Patrick Haley (Skin Deep) all won optional money for their yellowfin entries. Angler Doyle Jefcoat, fishing on Southern Miss, a 61 Viking run by Adam Ladnier, boat-ed the top wahoo of the week, a 74.6-pounder. That catch earned the team a check to-taling $33,300. Wes Mincin on A Work of Art won some optional wahoo money with his 59-pounder, as did Lawrence Rowland (Cotton Patch), Tyler Henderson (Carib), Sean Curry (Gotta Believe) and Neal Foster (Intense). 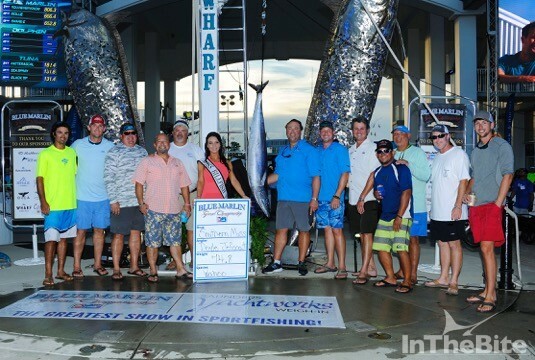 James Piteo and Team Amnesia, a 39 Nor-Tech center console, won top honors and $97,911 with a 45.2-pound bull dolphin. Others winning a share of the dolphin optional pot include Brandon Favre Jr. (A Work of Art), Taylor Morrissette (Fransea) and Josh Herren (Sweet Beaver). 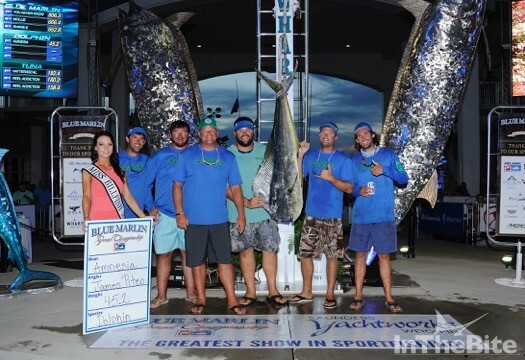 In the tight Catch & Release division, Conundrum, a 61 Viking based in Orange Beach and owned by Daniel Haeuser, was the top team with three blues and one white re-leased. All three of Capt. Jimmy Crochet’s blues far exceeded the minimum length for qualifying fish, but the team elected to release them instead. Conundrum’s conservation ethic resulted in a $73,675 payout. Lisa Jo, owned by Michael Lovett and run by Logan Lovett, had good karma after winning the 61st tournament entry in the St. Jude Charity Auction. 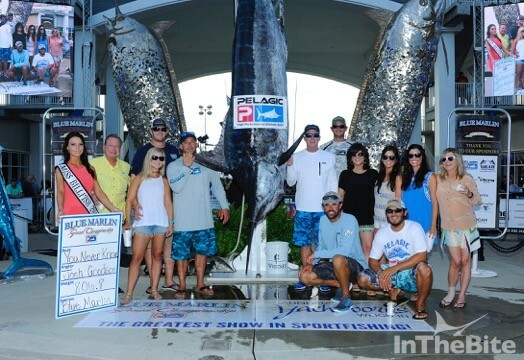 The Lisa Jo team released two blues and a white marlin to take second place. Pour Intentions edged out Done Deal based on time. A total of 22 blue marlin, 23 white marlin and one sailfish were scored by the video re-lease judges during the 2016 event. 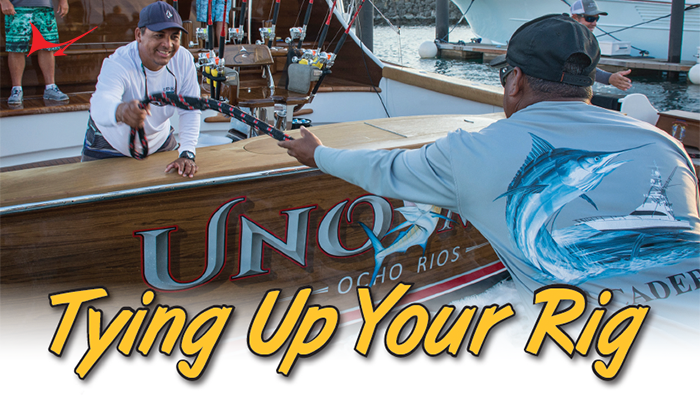 Houston Adams, fishing aboard Gulf Rascal run by Capt. Billy Borer, was named the Top Junior Angler for his white marlin release.